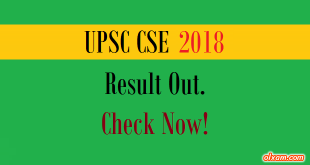 Olxam » Vizag Steel » Vizag Steel MT 2017 Admit Card Out. Download Now! 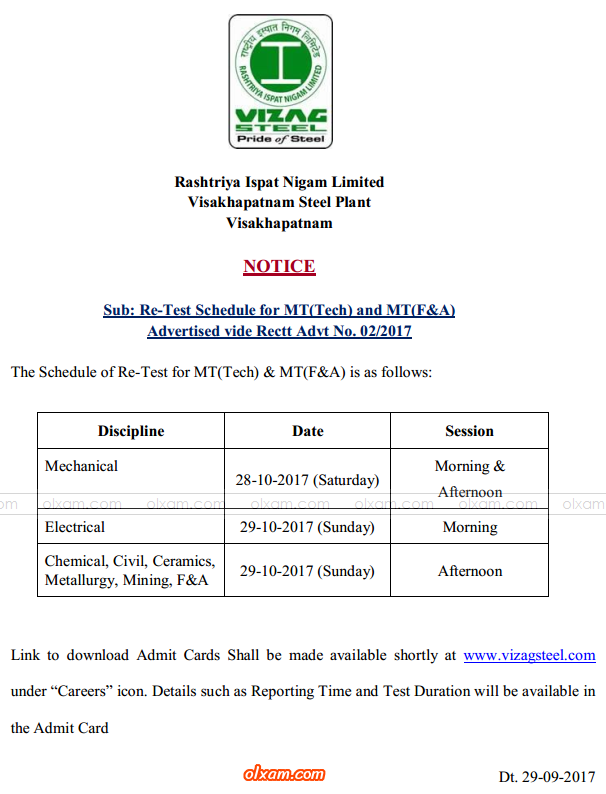 Vizag Steel MT 2017 Admit Card Out. Download Now! We hope all of you Vizag Steel MT aspirants are preparing well for Vizag Steel MT 2017 exam. Vizag Steel MT 2017 Admit card is now available to download. Vizag Steel MT 2017 exam will conduct by Vizag Steel at various exam centers across the country on 29th October 2017 (Sunday). 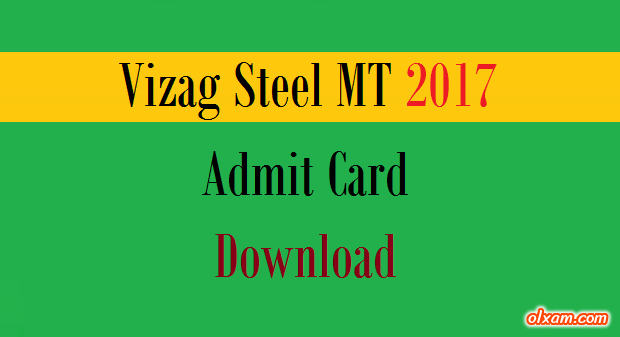 How to download Vizag Steel MT 2017 Admit Card ? (2) Enter Registration Number and DOB.